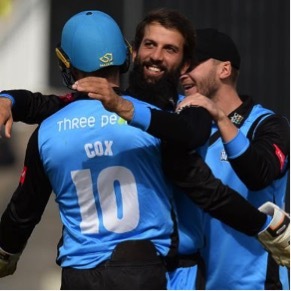 Sport Legacy Foundation has signed an agreement with the England cricketer at a special cricket breakfast in central Birmingham on Friday 14th September hosted by law firm Squire Patton Boggs. 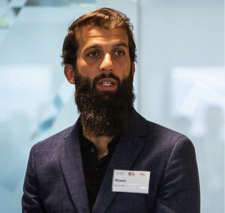 The agreement will ensure that the Foundation and Moeen Ali, as well as his expert cricketing family, build on the region’s potential in cricket by offering coaching and competition at the Foundation’s ground in Yardley and throughout Birmingham. Sport Legacy Foundation will have a remit to help realise the growth potential of cricket in the region. The Foundation has a proven track record having established the Sport for Life International programme as a legacy programme of the ICC Cricket World Cup 2007 and delivered weekly coaching, healthy lifestyle and leadership sessions throughout the academic year to more than 16,000 students aged 8 – 18 in Birmingham, Pakistan and the West Indies. The Foundation will also be guided in the development of the cricket legacy programme by Kabir Ali, the former England and Lancashire player, as well as Munir and Kadeer Ali, Moeen’s father and brother who have supported him throughout his brilliant career, along with Gulfraz Riaz, Chair of the National Asian Cricket Council.